Try something out of the ordinary for your kids or the kid at heart. This is a simple tasty grilled desert to whip up with things around the kitchen! Preheat the Indoor/Outdoor grill on setting 5. Rip off 4 pieces of foil, about 12" long. Place a banana in the center and fold the foil up around the sides. With a knife, carefully halve the banana lengthwise through the top of the peel, without cutting through the back. With your fingers, carefully pry open the banana, making sure not to split it all the way open. 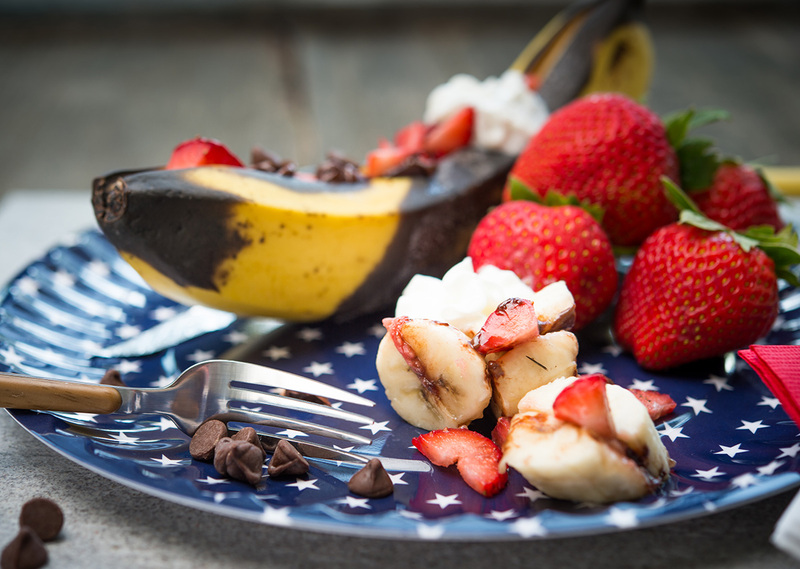 Stuff each banana with strawberries, chocolate chips and marshmallows. Wrap the remaining foil around the stuffed banana and place on the preheated grill. 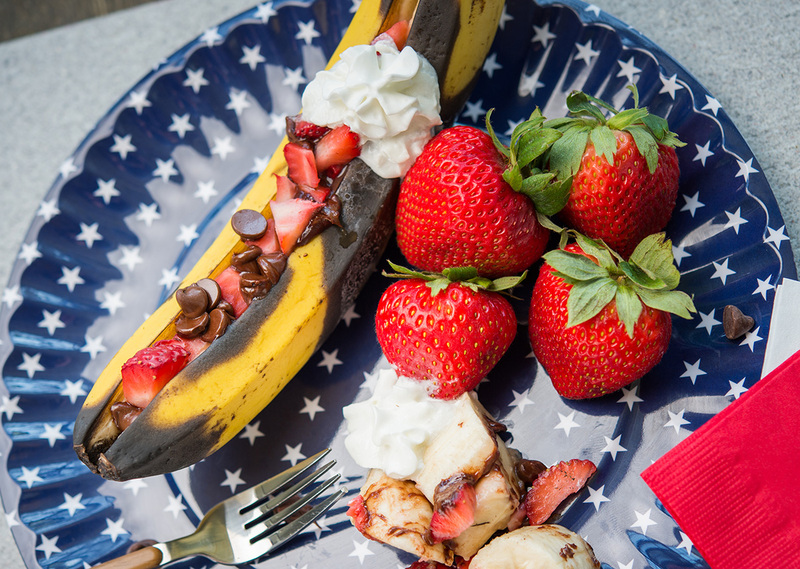 Place the lid on the grill, and grill for 10 minutes, until the bananas are soft and the chocolate and marshmallows have melted. Serve warm, right out of the tin foil, which makes a nice little plate.